Yes, I am a color nerd. I get ridiculously excited when Pantone releases their seasonal color reports, and I relish in the act of searching for pretty things that incorporate the chosen colors. If you share in my color geekdom, you might enjoy my recent posts on two of this season's picks, honeysuckle and silver peony (as well as Pantone's full Spring and Fall 2011 reports). 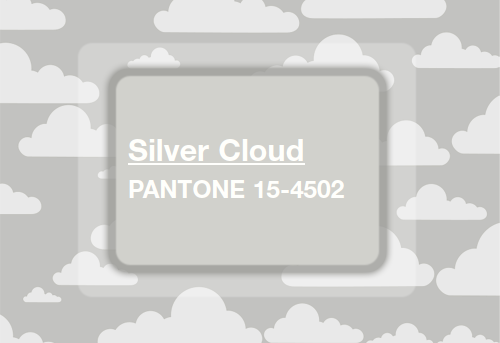 Today's post is an extra-special one, and not just because it features another of Pantone's Spring 2011 colors, silver cloud. It's also part of a week-long series called Spring Fever, which features daily spring-themed posts on several blogs. When my friend Sutton over at the Dainty Dish asked me to write a feature on a spring color, I was thrilled. 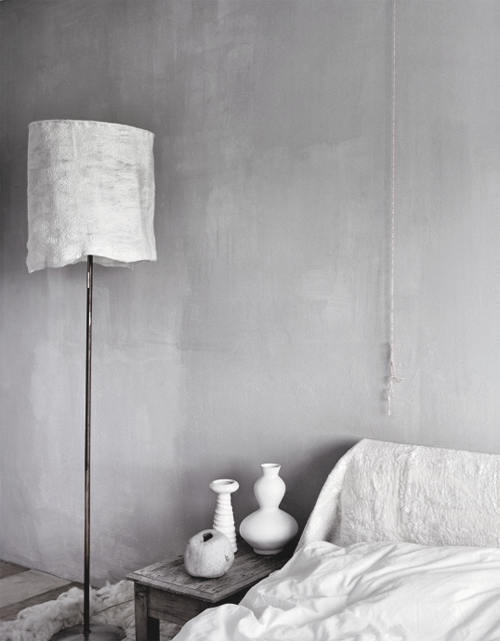 Silver cloud is one of my absolute favorite neutrals, and perfect for springtime. Its pale, vapor-like gray hue reminds me of April skies in the early morning, before the sun breaks through the clouds, misty and light. 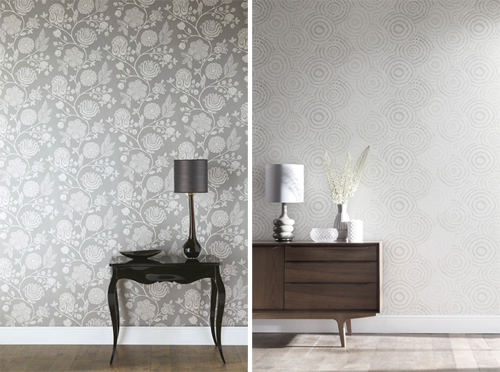 Unlike some of its bold spring-color siblings, silver cloud can be paired beautifully with almost any other color. It's classic and timeless, and epitomizes the blank canvas: subtle and tastefully unassuming, but ready for anything. I'm crossing my fingers that this year's April showers bring lots of silver clouds with them. What are your thoughts on this spring's neutral "it" color? P.S. Make sure you stop by You Go Glen Coco and Dainty Dish tomorrow for the next posts in the Spring Fever series, which will feature two of my favorite springtime topics: clothes and yummy botanical scents. That hand-pleated dress is to die for. I want, I want - I need, I need! If only had attended parties glamorous enough for such a dress. I heart silver cloud. Far more stylish than boring gray, which always reminds me of gym class. And that delicate wallpaper is so beautiful, too. 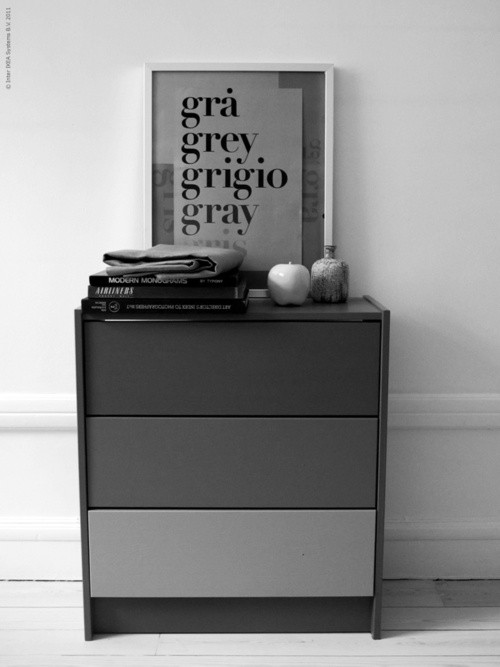 I always forget to consider grey hues as "colors" this post was a great reminder, silver cloud seems to be a perfect neutral to go with whatever accent you are going to use / wear. I love everything in these pictures! And I love this shade of grey!! So perfect for springtime. p.s. I want that dress!!!! 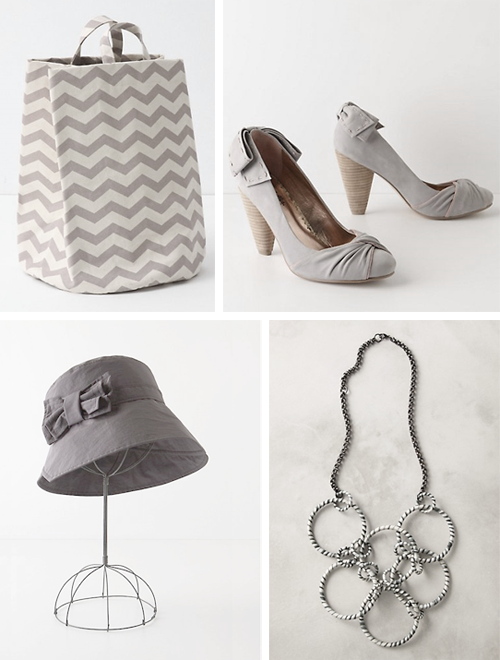 I'm having a love affair with Gray. My dream home bathroom is gray subway tiles with gray walls and white molding. I think it's gorgeous! PS I'm having a Big Ol Crafty Giveaway on my blog if you wanna check it out! I am IN LOVE with that silver bedroom. Le sigh. I pretty much live for color so I guess that makes me a color nerd too:) Silver cloud is beautimous indeed; I love everything about that wedding dress. I am dying over that gray dress from BHLDN. I have to have it.